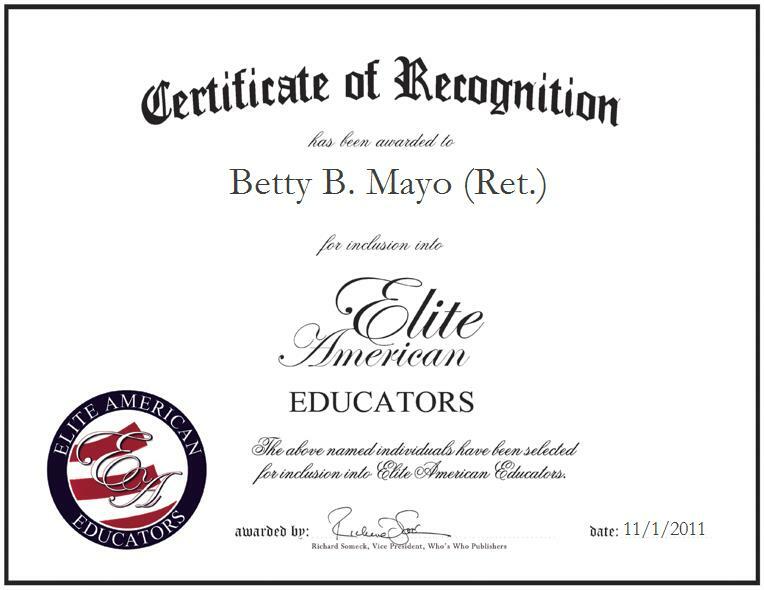 Betty B. Mayo formerly served as the Youth Education Assistant at the University of Missouri Extension. Prior to her retirement, Ms. Mayo specialized in child development services, served as a liaison between the university and the county, and worked directly with youth and adult leaders on facilitating leadership training. She also developed programs and spoke publicly on an array of topics. She has amassed nearly three decades of professional experience, and she was recently inducted into the Missouri 4-H Hall of Fame. She is extremely knowledgeable on the enhancement of child development services, and she supports a number of worthy causes, including local community organizations and initiatives geared toward the advancement of family and community education.